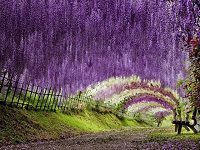 Fuji Park Festival in Okayama is a festival held in late April to early May when the fuji, or wisteria flowers, bloom beautifully in shades of purple and pink. 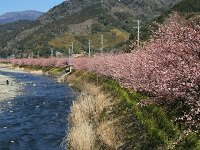 There are no set dates when the festival takes place due to the impossible nature of telling when the flowers will be fully bloomed, so the town encourages prospective visitors to check the website prior to visiting. 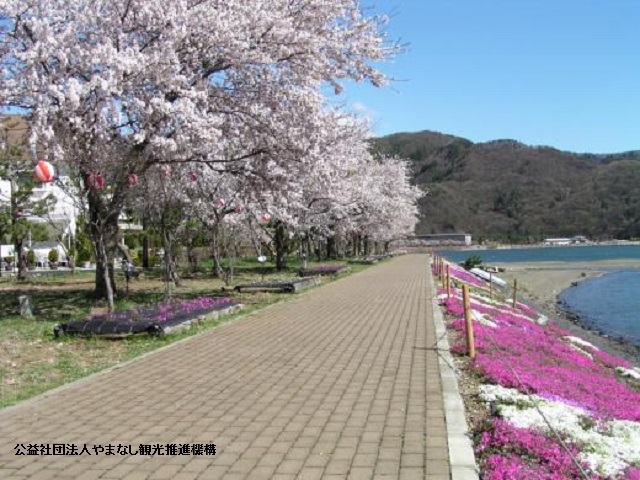 During full bloom, the park is covered with absolutely beautiful shades of pink and purple Fuji flowers. 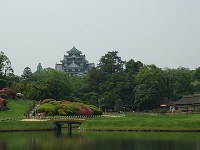 The Okayama Fuji Park Festival has over 100 different kinds of fuji Japanese flowers which have been collected from as far north as Hokkaido to as far south as Kagoshima. 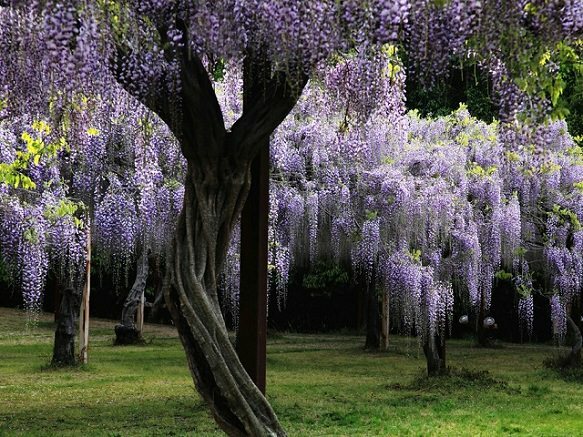 The clusters of flowers together almost look like breathtaking purple and pink clouds over your head. 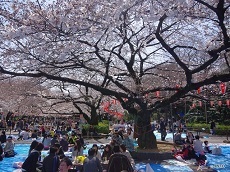 At the festival, there are also numerous yatai or festival food booths where you can purchase snacks to enjoy as you gaze at the beautiful wisteria flowers that surround you. 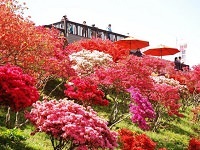 It's also recommended to walk through the vast trellis of flowers to enjoy the beautiful flowers. 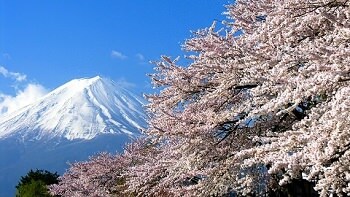 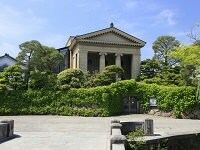 Looking to see more than just cherry blossoms during your Japan tour? 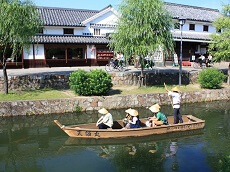 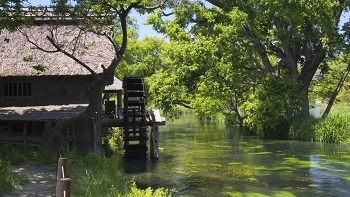 Add the Fuji Park Festival in Okayama to your vacation with Japan Deluxe Tour's flexible range of pre or post stay options. 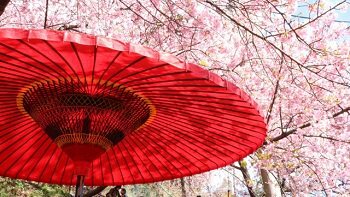 You can also customize a fully-guided vacation to include the Fuji Park Festival and the rest of Japan's can't miss highlights with our custom Japan tour packages.